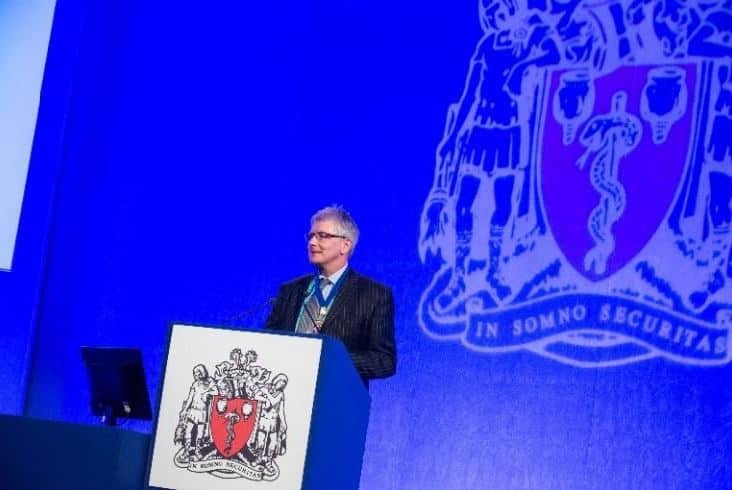 In January 2017, London’s QEII Centre welcomed the Association of Anaesthetists of Great Britain & Ireland (AAGBI) for the 20th consecutive year, as the association hosted its annual Winter Scientific Meeting London 2017. 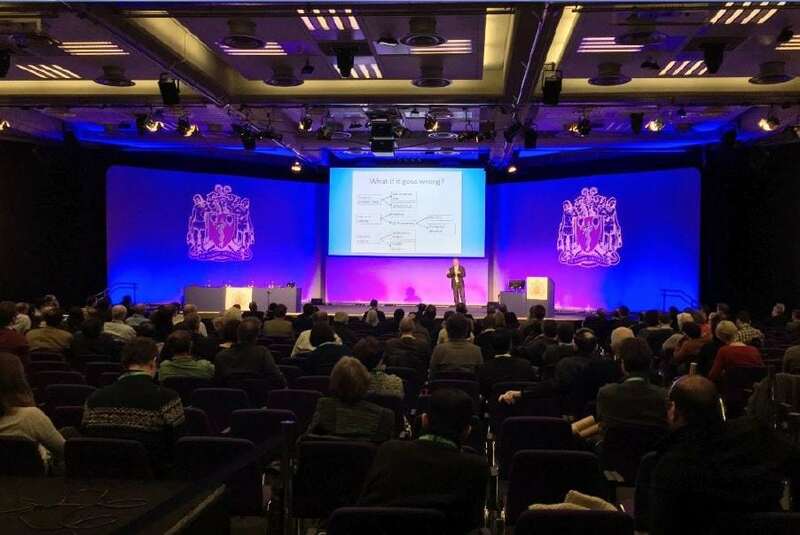 The AAGBI needed a venue with an accessible location in the heart of London, that could host over 1,000 medical professionals across three days of seminars, workshops and exhibitions. Being a well-established event that had used the QEII Centre for the past 19 years, the organisers and attendees of the AAGBI Winter Scientific Meeting had high expectations for the quality of customer service and facilities. For the QEII Centre, a three-day, full centre takeover event is of huge reputational and financial value, and so executing a flawless event was crucial. QEII’s AV project manager Bill Slade was the lead contact for AAGBI, having worked on the event every year that it has been hosted at the centre, along with account manager Tony Brinsden, event manager Daniel Anderson and QEII Taste event manager Sara French. The 2017 event was planned to utilise QEII’s most recently refurbished event space, the Mountbatten room on the centre’s sixth floor. 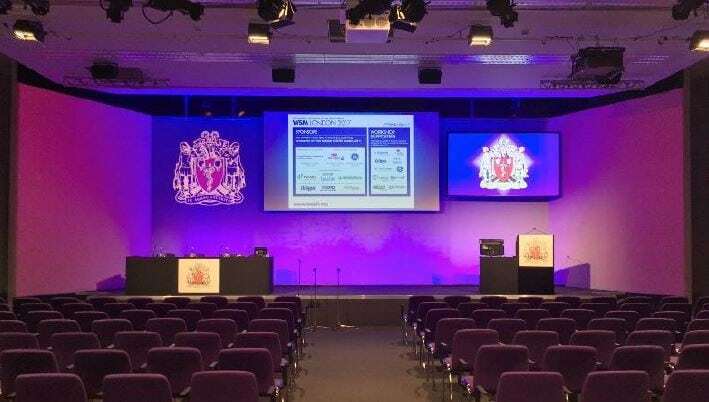 With the Winter Scientific Meeting attracting more delegates year on year, the increased capacity of the Mountbatten as a result of the refurbishment and it’s floor to ceiling windows looking out over the London city skyline made it the ideal space for the second stream of the event. The main sessions were held in the Churchill Room, which has capacity for 700 delegates to watch the plenary sessions live. QEII’s industry-leading AV facilities were optimised for the event, with live streaming of seminars throughout the building, including to a parent and baby room for members who are on maternity or paternity leave to keep up with their CPD hours. QEII’s entire third floor, consisting of three rooms which can be combined into one, was used for AAGBI’s exhibition which ran throughout all three days of the event, while further symposiums were held in rooms on the first and fourth floors. The AAGBI Winter Scientific Meeting was a great success, attended by more than 1,000 delegates. Ground-breaking talks on anaesthetic topics and controversies, featuring high-profile international keynote speakers including Baroness Professor Susan Greenfield, Dr Andy Bodenham and Professor Justiaan Swanevelder, took place, adding to QEII’s reputation as a stage for game changers and innovators. Feedback from delegates during the event was positive, in particular highlighting the stunning views from the refurbished sixth floor, the sleek look of the foyer, the digital signage introduced in 2015 and the quality of catering from QEII Taste. The AAGBI’s events manager, Zack Puttock, also praised the improvements that have been made to the venue in recent years, both to the building itself and in the levels of customer service delivered. Speaking after the event, Zack said: “Location is key in choosing a venue for our events and our delegates appreciate QEII’s position in the heart of London; it’s easily accessible by public transport and the views are incredible. Being up on the sixth floor we always see delegates taking photos of the stunning views out over the city. We’ve always had a positive experience at QEII but since its refurbishment project began in 2014 it’s been even better, the customer service and the quality of catering are fantastic. The AAGBI’s satisfaction with the QEII Centre as a venue is reflected in the fact that the association has already booked QEII to host it’s 2018 Winter Scientific Meeting. 2018 will mark the 30th anniversary of the event, which will be made bigger and better than ever with the support of Bill Slade and the QEII event team.